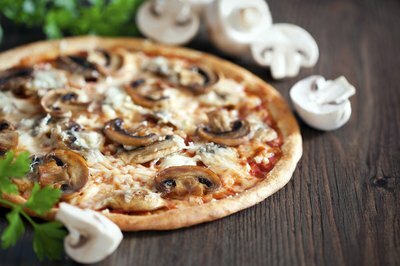 Mushrooms add a savory earthiness to pizza that complements most other toppings, especially meats, cheeses and onions. Of the many varieties of mushroom, each has its own distinctive flavor, texture and appearance. While the button mushroom is no stranger to pizza topping, expand your mushroom repertoire with portobello, chanterelle, porcini and truffle, each of which can be used to elevate the flavor and presentation of your pizza. 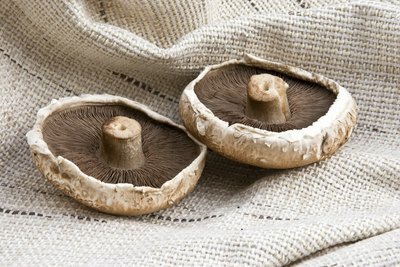 If you’re looking to create a meat-free pizza, portobello mushrooms work well as a substitute as they have a robust and meaty flavor when cooked. Brush the large caps with olive oil, season with salt and pepper, and grill or saute in butter for a few minutes beforehand to soften them slightly. Slice the caps into thin slices and arrange on top of your pizza. While meaty portobellos can be paired with most classic pizza toppings, try them with Parmesan, ricotta and manchengo cheeses, fresh spinach, garlic and sun-dried tomatoes. 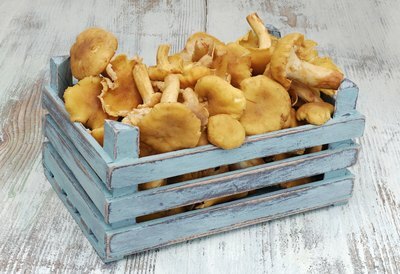 Chanterelles are often likened to apricots, as they have a brilliant fruity aroma with a subtle pepperiness. These whimsical, trumpet-shaped mushrooms can be added raw to pizza and they will bake to perfection, or you can inject richness with a quick, one-minute saute in butter before topping. Pair chanterelles with sweet meats like ham, pork and poultry and with seasonings including garlic, black or white pepper and thyme. 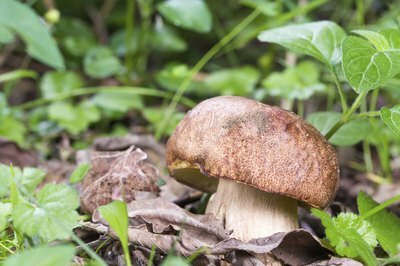 Porcini mushrooms have a rich, woodsy flavor that make them a good choice for pairing with a variety of pizza toppings, including steak, prosciutto, Parmesan, Fontina cheese and onions. Porcinis also shine when paired with olive oil, cream and balsamic vinegar, so feel free to experiment with different types of pizza sauce. Rehydrate dried porcinis in a bowl of boiling water, covered, letting them soak for 30 minutes. Once rehydrated, strain and saute in butter for five minutes before adding them to your pizza. Freshly shaved truffle instantly transforms pizza into a gourmet entree. There are two types of truffles: black and white. 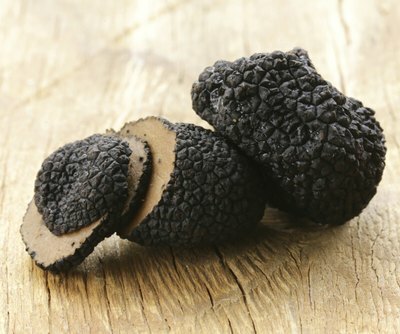 Black truffles are pungent and musky, with sweet, sophisticated undertones, while white truffles are milder, punctuated with hints of garlic and pepper. Pair black truffles with langoustines, shellfish, roasted chicken and other types of mushrooms for a decadent pizza. White truffles are particularly suited to Italian ingredients, pairing well with artichokes, Parmesan cheese, cream sauce and prosciutto. Simply add a few truffle shavings to your pizza just before serving.